Born in Denmark, Niels Bendtsen and his family immigrated to Canada in 1951. In place of a formal design education, he trained as an apprentice for his father, who designed and built Scandinavain... Read more furniture. Through working with his father, Bendtsen gained valuable skills and a respect for non-industrial, hand-built traditions, but he was also intrigued by new technologies and ways to satisfy incresing demand. Between 1963 and 1972, Bendtsen had his own retail store where he sold his father's furniture, as well as imported Scandinavian designs. He designed small items for the store, but it wasn't until he was in his early thirties that he truly began designing furniture. Dissatisfied with the quality and limited functionality of the furniture he received from his overseas manufacturers, Bendtsen sold his store, moved to Europe and became a full time designer. In the 1980s, Bendtsen moved back to Vancouver, bought back his old store and added a manufacturing component. Using the skills he learned working with European factories, Bendtsen successfully found a balance between affordability, aesthetics and quality. 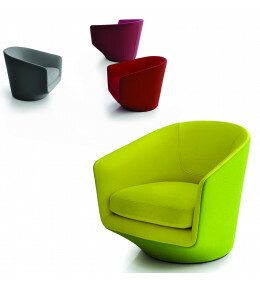 Customers responded, and in the mid-1990s Bendtsen began making his designs available through other retailers, such as Design Within Reach. 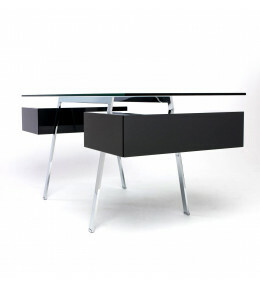 Homework Desk is an elegant and contemporary small glass top home workstation. 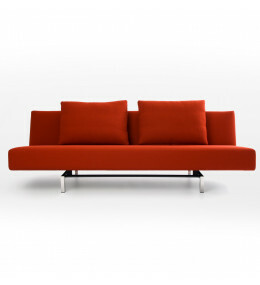 Sleeper is an elegant sofa that easily converts into a bed for guests using a strong internal steel frame.